3. 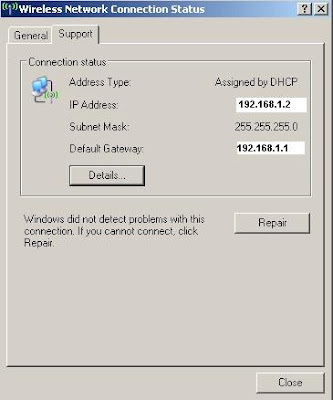 Installed wireless network software crash with windows Wireless network software. 1. if you are using personal computer (PC) then press down your network adapter or unplug and replug it again. 2. Check if your computer detects the network card and it will prompt up saying some new hardware was found. 3. Install with correct driver (Usually on CD given when you buy your computer). 1. Try install another driver, computer will detect which driver is the best for your network card. 2. 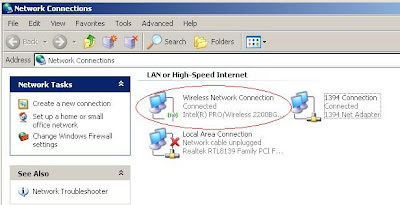 If installed correctly, you will see your wireless network icon on the network connections in control panel. 1. Uninstall your network software and use only the windows given wireless software to configure which wireless to connected, ip settings and many more. 2. 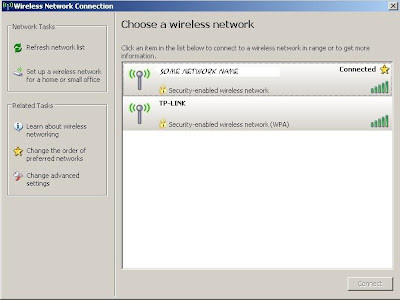 If you find a dialog box like below, that means that you are using windows wireless software to connect to a wireless network. 1. always check your internet protocol (IP) by double click on your wireless network adapter on the right down corner where you will see this icon. 2. a dialog box such as below will pop up. Click on the support Tab. 3. The default ip for wireless will be 192.168.1.1 and make sure your ip is other than 192.168.1.1 with something like 192.168.1.x where x is number starts from 2 to 254. For example 192.168.1.200. 1. Check for firewall settings. If you have on your firewall setting, just switch it off for a few seconds to try if your computer can be connected to the wireless network or not. 2. 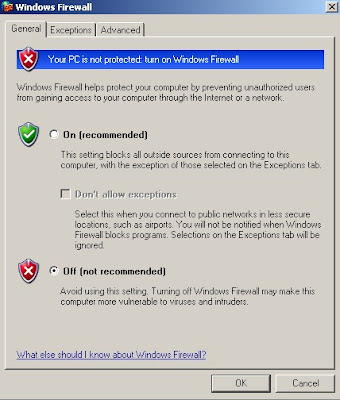 For windows user, disable your firewall from Control panel, Windows firewall. Select off then press ok.
3. Try connect to the wireless network again, and it should work.